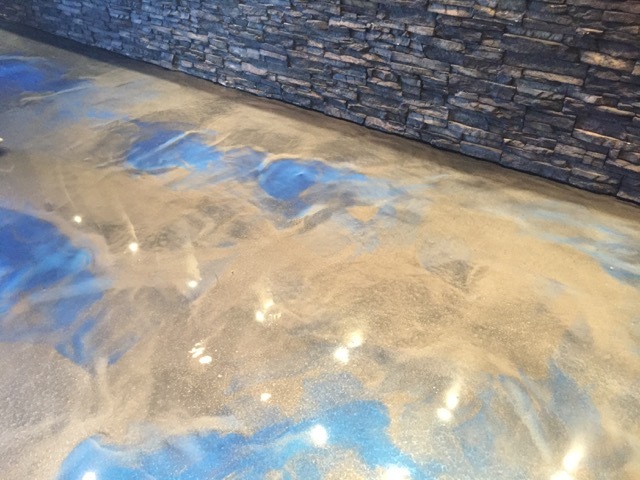 This floor created using Elite Crete PT-1 epoxy with titanium reflector enhancer makes quite an Impact with clients in this showroom! The blue highlights compliment the company logo. Reflector floors are a fantastic way to customize your space.